Despite being Nitron's entry level bespoke rear shock absorber, with its full 40mm diameter piston, this unit will outperform much more expensive units from the "bigger" manufacturers and will always offer a significant improvement in comfort and response over the OE shock fitted to your bike - even if it has a remote or piggy-back reservoir. It features a totally uncomplicated single adjuster knob which tunes both rebound and compression damping simultaneously - making it perfect for the road biased rider and, don't forget, we have a special build service for shorter riders who need a lower seat height; please ask for details. Made in England, all Nitron shocks supplied by HPS are totally rebuildable and backed with a full UK technical support and service operation. "Nitron Sport shock... Affordable, high quality suspension unit for road riders." "I received and installed the Nitron shock and all I can say is wow what a difference! Thanks for the great customer service." When ordering from HPS, please include your weight (with any specific requirements you may have regarding whether you want a lower or higher default seat height - i.e. if you are taller or shorter than average) and state how your bike is used (i.e. road solo only, road with pillion, road and track or track only etc.) as we will be building your shock to your specific order with the optimum length, spring rate and damper adjustments pre-set for you. Please don't hesitate to call us at HPS to ask your suspension questions - we will be very happy to discuss your needs and assist. Please note that for certain applications, appearance (i.e., colour of some components), may vary from those shown. !quote, 84, 85, 86, 87, 88, 89, 90, 91, 92, 93, 94, 95, 96, 97, 98, 99, 00, 01, 02, 03, 04, 05, 06, 07, 08, 09, 10, 11, 12, 13, 14, 15, 16, 17, 18, 19, 20, 1984, 1985, 1986, 1987, 1988, 1989, 1990, 1991, 1992, 1993, 1994, 1995, 1996, 1997, 1998, 1999, 2000, 2001, 2002, 2003, 2004, 2005, 2006, 2007, 2008, 2009, 2010, 2011, 2012, 2013, 2014, 2015, 2016, 2017, 2018, 2019, 2020, a1, b1, b2, c1, c2, d1, d2, d3, d4, d5, d6, d7, d8, d9, e1, e2, f1, f2, g1, g2. h1. h2, j1, j2, k1, l1, l2, l3, m1, m2, zx250r, er-6f, er-6n, er6f, er6n, zx6r, zx7r, zx9r, zx10r, zx12r, zx14r! Just a quick note to let you know that the Nitron shock fits a treat and the bike is at a perfect height now, even the preload adjuster looks cool sitting where the rear pegs were. Once again many thanks to you and your team for supplying this in such quick time very much appreciated. The perfect ROAD and TRACK-DAY shock - built just for you, to your spec. Nitron's mid-range track shocks offer the same consistent performance often only found in other makers' far more costly "race-level" shocks. Offering significant dynamic and adjustability range benefits over OE sports bike shocks, this is the perfect unit for anyone looking for the best value performance shock you can buy, making it ideal for mixed road and track use. "Beautifully crafted here in the UK. A larger range of adjustment that actually adjusts and damping that actually damps. Bolted to an NWS Linkage, it has replaced old and knackered with new and fresh, as well as old technology with new technology. Now the ZXR has more grip than ever before." Made in England, all Nitron shocks are totally rebuildable and backed with a full UK technical support and service operation. When ordering from HPS please include your weight (with any specific requirements you may have regarding whether you want a lower or higher default seat height - i.e. if you are taller or shorter than average) and state how your bike is used (i.e. road solo only, road with pillion, road and track or track only etc.) as we will be building your shock to your specific order with the optimum length, spring rate and damper adjustments pre-set for you. Please note, because of limited upper spring seat access within the swinging arm - a small number of bikes do require the Hydraulic Preload Adjuster (HPA) to be fitted as standard. Please also note that for certain applications, appearance (i.e., colour of some components), may vary from those shown. !84, 85, 86, 87, 88, 89, 90, 91, 92, 93, 94, 95, 96, 97, 98, 99, 00, 01, 02, 03, 04, 05, 06, 07, 08, 09, 10, 11, 12, 1984, 1985, 1986, 1987, 1988, 1989, 19901991, 1992, 1993, 1994, 1995, 1996, 1997, 1998, 1999, 2000, 2001, 2002, 2003, 2004, 2005, 2006, 2007, 2008, 2009, 2010, 2011, 2012, zx250r, er-6f, er-6n, er6f, er6n, zx6r, zx7r, zx9r, zx10r, zx12r, zx14r! Nitron's race shocks are designed for the most serious and demanding of riders and as such incorporate separate high and low speed compression damping control valves for further fine-tuning of setup for race bikes or for very high performance road use. "New rear shock is awesome. Just bolted in, no twiddling needed at all. Much, much better." "I have ordered a Nitron R3 rear shock absorber for my 2014 Kawasaki ZX14R and I am happy as a dog in the mud. Shipping was fast ( I live in Qatar at this moment) and when I opened the box ...maaaan was like Christmas again. I will be back for the front suspension." !quote, 84, 85, 86, 87, 88, 89, 90, 91, 92, 93, 94, 95, 96, 97, 98, 99, 00, 01, 02, 03, 04, 05, 06, 07, 08, 09, 10, 11, 12, 1984, 1985, 1986, 1987, 1988, 1989, 19901991, 1992, 1993, 1994, 1995, 1996, 1997, 1998, 1999, 2000, 2001, 2002, 2003, 2004, 2005, 2006, 2007, 2008, 2009, 2010, 2011, 2012, zx250r, er-6f, er-6n, er6f, er6n, zx6r, zx7r, zx9r, zx10r, zx12r, zx14r! Top of the range dedicated track-day and professional race shock - built just for you, to your spec. All Nitron's race shocks are designed for the most serious and demanding of riders and, as such, incorporate separate high and low speed compression damping control valves for further fine-tuning of setup for race bikes or for very high performance road use and the new Race-Pro has an even higher level of precise damping control. Available for the most commonly raced Sportsbikes, the Race-Pro's larger 46mm Piston and 16mm Piston Rod creates an increased area for the damper mechanism to operate within for a finer range of adjustments and even higher levels of fade resistance for on-track race length or track day endurance. "No more wallow for the ZX-6R. Tim’s new Nitron NTR race Pro shock provides a liberating experience on track." "...delivers a more supple ride than the stock Kayaba unit as well as more traction over high - frequency ripples. Its sheer turquoiseness and hand-built loveliness make me feel much faster." !zx6r, zx10r, 06, 07, 08, 09, 10, 11, 12, 13, 14, 15, 16, 17, 18, 19, 20, 2006, 2007, 2008, 2009, 2010, 2011, 2012, 2013, 2014, 2015, 2016, 2017, 2018, 2019, 2020! The hydraulic preload adjuster allows you to quickly and easily change the preload on the spring via a remote knob making c-spanners and other tools unnecessary. 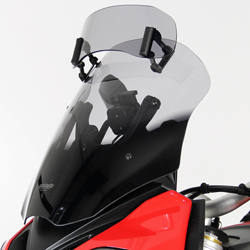 This is particularly useful for people who regularly take pillion passengers and/or luggage, as it allows you to compensate for a variation in load, maintaining the comfort and handling characteristics of your motorcycle by retaining the correct ride height. 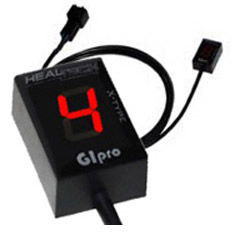 It is also very useful for bikes used on the track, particularly for racers as it allows fine tuning of the ride height which often needs to be different from one track to another. 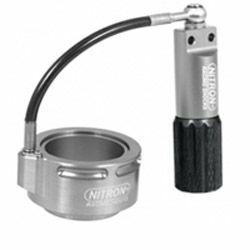 This is normally added at the time a shock is purchased but the unit can also be retrofitted to your existing Nitron shock to replace the manual preload adjustment. Please call HPS to check the availability for your existing shock first as there may be a possibility that the spring will need to be replaced for that of a smaller one and please note the retro fitment of a hydraulic preload adjuster requires your shock to be returned to us. Only the Best Motorcycle Parts, Spares & Accessories for your Bike. All offers are subject to availability and HPS terms and conditions of sale and may not be used in conjunction with any other offer or discount. Images are for display purposes only. Prices are in UK Pounds Sterling (£) ; however, they may fluctuate and we therefore reserve the right to amend them without notice. Prices exclude delivery options which can be specified at the customer's request. All motorcycle dealer/manufacturer's trademarks acknowledged. Calls may be recorded for training/security purposes. All rights reserved. E.&.O.E.